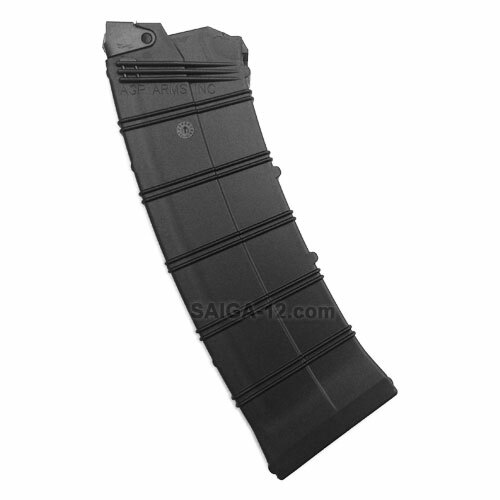 10-round magazine for the Saiga-12 shotgun by AGP Arms, Inc. These magazines are manufactured in the US and count as 3 US made parts, therefore, accordingly marked "USA" on the body, follower, and floorplate. They are made from the glass filled Nylon for the utmost strength. The capacity is 10 rounds with a little extra space to make it easier to seat it in the gun when fully loaded. The magazines now include new upgraded spring steel feed lips.